Six O ‘Clock London Dry Gin made by Bramley and Gage in Thornbury near Bristol. 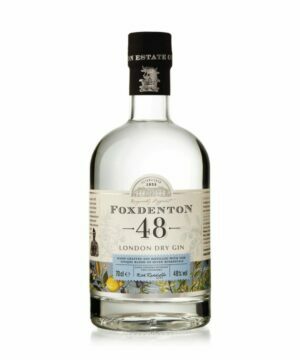 This strikingly smooth, well balanced gin is the main ingredient for the perfect G&T! Strikingly smooth 6 O’Clock Gin is a London Dry Gin with a clean flavour led by Juniper. Try it with a quality Tonic to create your own moment of ‘ginspiration’. The smoothness flows from the custom-built copper still with its unique double sphere head – together with the careful selection of botanicals and the distillers craft. Only the pure heart of each run makes the cut.